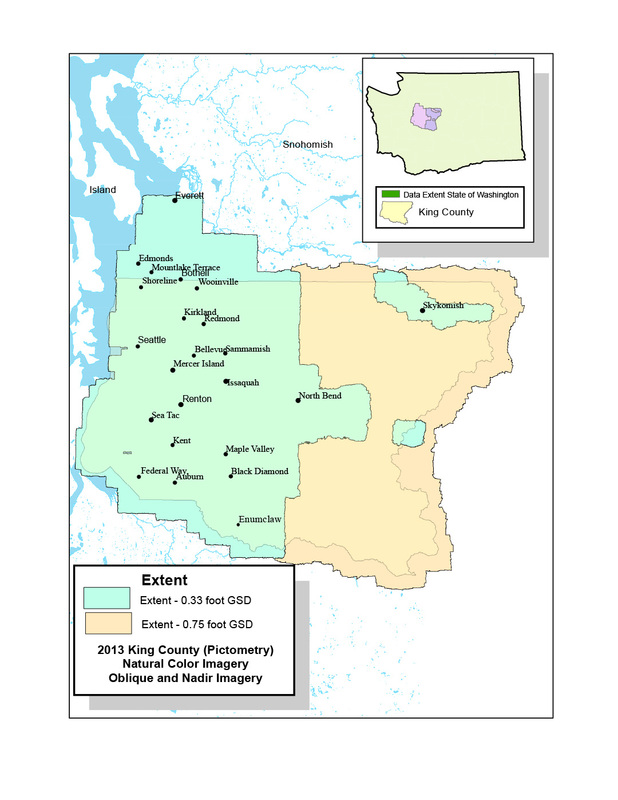 Olibque and vertical imagery for western King County accessible via Pictometry ArcGIS 10.x extension and/or Pictometry Electronic Field Study (EFS) software. 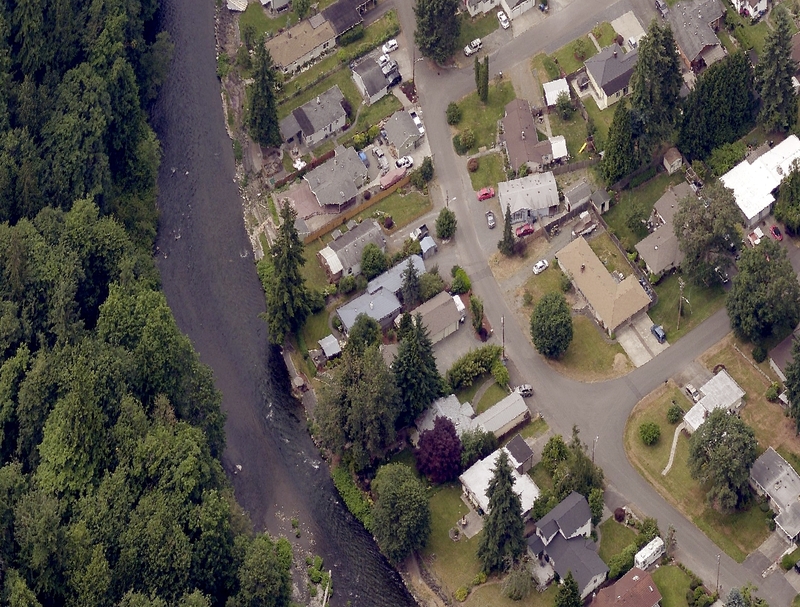 In addition to vertical view, four-direction Neighborhood-level views are available in western King County and southwestern Snohomish County, at a nominal 0.33-foot resolution. In eastern King County, in addition to the vertical view, two-direction (N-S) Community-level views are available. Imagery is nominally 0.75-foot GSD in eastern King . No true orthographic (orthoimagery) data was acquired for this Project, though a orthogonal visualization base was created. Users can also view the nadir (vertical) images only through the ArcGIS extension which does allow transfer of the vertical images from the extension window to the main ArcMap window. The date of each image is also part of the image file itself. The set of integers just before the file-type suffix (such as 130714) refers to standard form 20130714 or July 7 2009. Alternatively, the date and time of acquisition of the oblique imagery can be obtained from one of two spatial indexes - OBLIQUE_IMAGE13_AREA and ORTHO_IMAGE13_AREA. Data provided by Pictometry was copied from Network Attached Storage devices (NAS) to locations on the King County network.